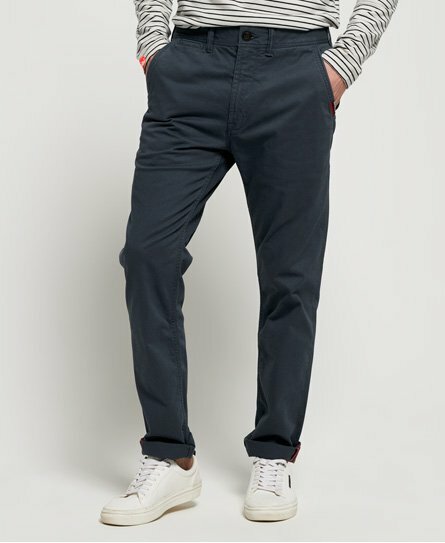 Superdry men’s International straight chinos. Find the perfect mix between work and pleasure with these International straight chinos. These are a perfect investment to go from desk to dinner in an instant. They feature a zip fly fastening, a five pocket design and belt loops. The International straight chino pants are finished with a Superdry International logo tab on the front pocket and a logo patch above one of the rear pockets.